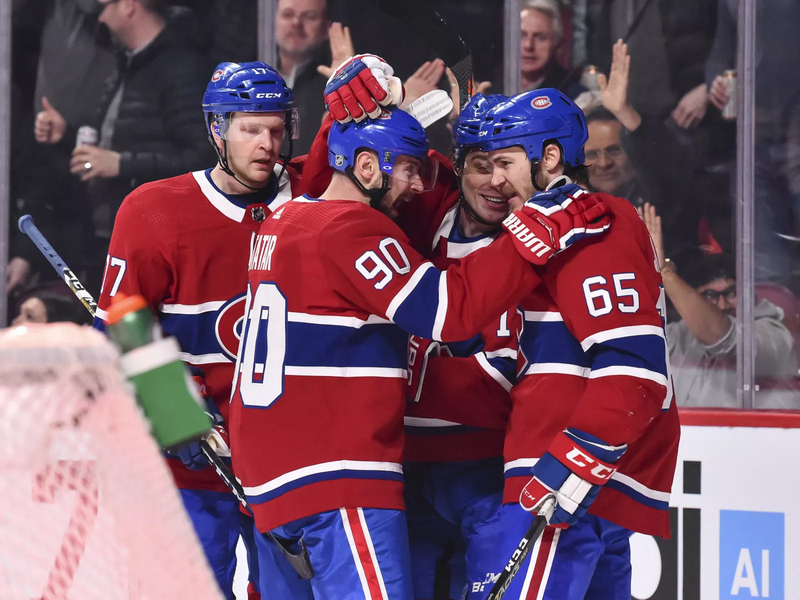 Brendan Gallagher scored his 30th already, and if Tomas Tatar and Max Domi continue to produce, the Montreal Canadiens could have them hit the mark too. Seeing the individual stats of the Montreal Canadiens so far this season makes it even crazier that there was a decent belief that they wouldn’t be able to score goals. They’ve continued to shove that hot take down the garbage, and it’s gotten to the point now where several players can hit some special milestones. Brendan Gallagher has already hit 30 for the second time in as many seasons. In fact, with six games left and seven more goals to go, it wouldn’t be surprising to see the 26-year-old creep to the 40-goal mark. Dom touched on this in his article yesterday, and it would be an amazing feat from Gallagher considering it’s been over 20 years since the last time the Habs had a forward score so much. However, the Habs have a chance of cracking another milestone, and this one may be easier to gain. The last time there were at least three 30 goal scorers in Montreal was in the 1992/93 season. Brian Bellows led the team with 40 followed by Vincent Damphousse at 39 and Kirk Muller at 37. The Habs even had a fourth player to hit the plateau as then 24-year-old Stephan Lebeau put up 31. The Montreal Canadiens got close to repeating that two seasons later via Damphousse again (38) and Pierre Turgeon (38), but Mark Recchi fell short at 28.